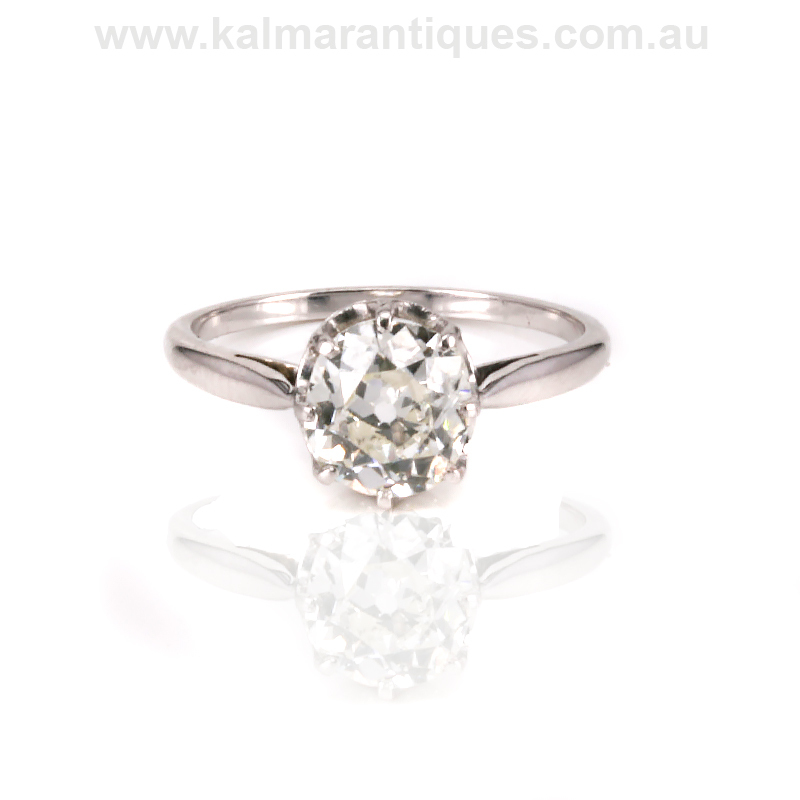 Antique cut diamonds have become so popular in recent years and here is a platinum Art Deco cushion cut diamond engagement ring that dates from the 1920’s and is just magnificent. So elegant in design, this ring was hand made in platinum in France and the diamond measures 1.41 carats and has the most wonderful sparkle and brilliance to it. It is G in colour and Si in clarity and being claw set allows the maximum of light enter and play through the diamond. Measuring 8.6mm by 7.9mm the diamond leads to the very elegant platinum band that sits so well on the finger. There is nothing quite like a genuine Art Deco diamond engagement ring, and there is nothing quite like a genuine antique cushion cut diamond to wear with so much pride. 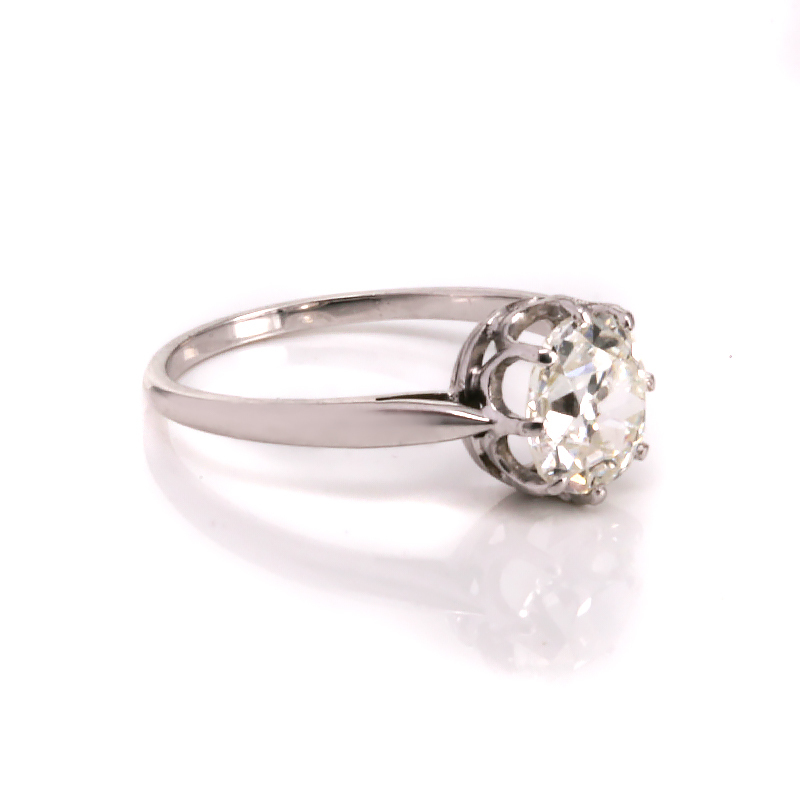 Tags: Art Deco Diamond Engagement Ring, Art Deco Diamond Ring.